It looks like cotton candy – I’d like to see it on one of those paper cones! 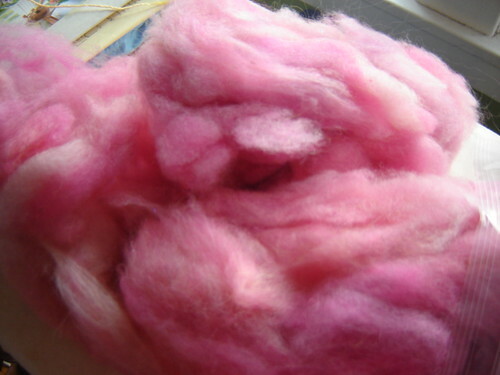 Oooh, love the pink fluff! 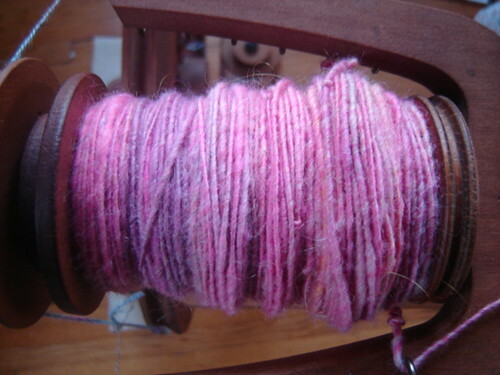 Spinner’s Web is lovely to spin, I’ve done up a few skeins from their stuff. They’ll surely be at Shepherd’s Harvest this year, they’ve been there and at Yarnover every year I can remember (though I don’t know if they were at YO this year). They’re lovely people. thanks for confirming my fears (of it slipping away) on the merino/tencel. It looks gorgeous though! and here I was hoping to resist the call of fiber this weekend – but now I’m going to have to search out Spinner’s Web. 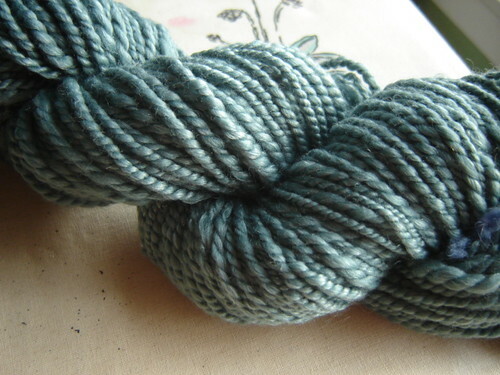 the merino-tencel is beautiful. very cool. Lovely! Isn’t Fiber Studio the best?!?! I’m heading to Shepherd’s Harvest tomorrow. See you there?